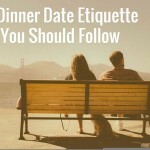 As I have mentioned previously, there will be more tips on the conversation topics on a date in this post. What you want to talk about in your conversation with your date is just to know more about her, no other intentions. You don’t want to hurt your date in any way, do you? However, things might go haywire at times and it’s mostly due to the mistakes in conversation which was done unintentionally. Don’t worry about that as I have prepared some sample questions and ideas in your dating conversation. Please be reminded that this is only a guideline. Dating conversations are meant to be logical. Nothing really tough though. 2. How did you arrive? 3. I came by car and I was stuck in the jam for an hour! 4. Have you had your dinner yet? 5. I am hungry though. Let’s check out these restaurants. 6. What do you prefer? Let’s get a quiet one. 7. Do you like their recommended set meals? 8. Are you all right with raw food? 9. Would you prefer iced drinks or the hot ones? 10. This restaurant is unique. What do you think? I like the design here, with bamboo sticks and all. 11. Are you into designs? 12. How’s work today? My work was hectic. Clients to meet on and offline. What about you? 14. How many siblings have you got? 15. How often do you come here? Any question will be relevent as long as it doesnt involve any stupid question or bonus question. Question that can indirectly praise a girl will be the best. Question : Where do you workout? Question by listener : why? Answer : Because you have a great body shape. It is about the art of asking without being too lame and also to interrogative..don’t you think so? I guess so but nobody are perfect. We are just not trying to be lame. thats all. Nobody wanna screw up their 1st date with their crush or love. You might as well as knock the great wall of china if you fail. XD just kidding.